There are many sites on the net giving tips on how to lucid dream, but I’ll recap the basics here: First you must be able to recall your dreams. If you think you don’t dream, you’re just not remembering it. So keep a journal or tape recorder by your bed, and as soon as you wake from a dream, no matter how tired you are, write down keywords or phrases describing your dream. Keep this up for a couple days or weeks and you’ll start remembering your dreams more easily. Once you can recall your dreams, you must work on reminding yourself while dreaming to ask yourself if you are dreaming. The only thing that usually survives the transition from waking to dreaming is your lower self, that ingrained with habit. So if you can build a habit of asking yourself throughout the day if you’re dreaming or not, then during dream state you’ll have a habit of asking yourself as well. Other than habit, you can watch for common dream signs, meaning elements in your dreams that often appear in your dreams but not so much in waking reality. This may be anything, like a person, an animal, color, element, etc… Analyze your dreams or your dream journal for common dream signs. Then throughout the day, when you encounter such a sign in reality, ask yourself if you are dreaming. Keep this up until it’s automatic, and soon you’ll do it in dreams. In addition to this, while going to sleep you can will yourself to become lucid later on, just like you would on an ordinary day where you can will yourself to remember to keep an appointment. All these techniques take time to work, but usually no more than two weeks. Doing reality checks throughout the day seems easy, but after a couple days it’s easy to slack. Don’t allow this to happen, just keep it up and think of the rewards. After asking yourself if you’re dreaming, you must do a reality check. No matter how real things look, it might all be a dream unless you check things with certain tests. The best test is to look down at your hands and watch them. Count your fingers, make sure they have the right number of joints, make sure they look normal. Watch them, and if the change shape or have anything odd about them, then you’re dreaming of course. Another thing to do is read something in a dream, look away, and read it again. If it changes or the characters look funny, then you’re dreaming. Be sure to read something long, because once I read a two word phrase, looked away, looked back and read the same thing, and concluded I wasn’t dreaming even though I was. Once realizing that you’re dreaming, you’ll probably get hysterical with the freedom, which will just as soon end your dream. Staying calm is not easy, but take a breath calmly and start walking around, looking at things. If your dream starts to fade, use the spin technique. Just spin around with your arms out three times, and tell yourself with each spin that when you stop spinning, you’ll be in a dream. You’ll actually feel yourself spin and sometimes get the sensation of dizziness. Stop spinning after three times and look around. You’ll think you’re awake in all likelihood, but do a reality check to prove to yourself that you’re not. Then enjoy your lucid dream. In a lucid dream, you have control of characters and the environment, as well as control over the laws of physics in the dreams. If you ever encounter a situation where neither the world nor the characters respond to your attempts to change it, then you’re probably out of your body and in an astral world. Be respectful of the people. If you don’t want to engage in their interactions, then just leave. 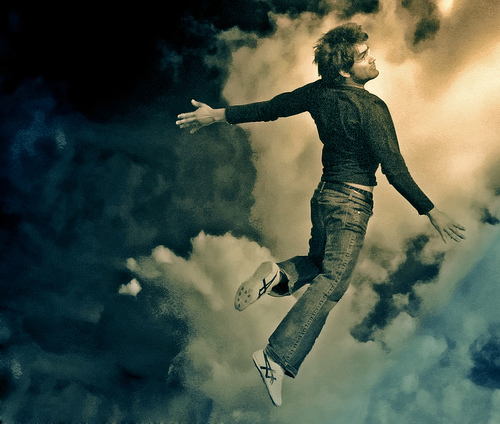 It is possible to enter a lucid dream directly from waking. Usually this entails lying down, relaxing, and allowing the body to fall asleep while the mind stays awake. Difficulties include falling asleep along with the body, or the body staying awake with the mind. Decoupling the two is tricky but possible. To enter normal sleep we begin by letting our thoughts wander until they turn into daydreams that either dissolve into oblivion along with our self-awareness and volition or else spontaneously evolve into hypnagogic imagery (short vivid hallucinations) that eventually cohere into a full-blown three dimensional dreamscape. Which case it is depends on how far we are into sleep. Early on, sleep consists of delta brainwave activity and no REM (rapid eye movement) indicating consciousness is off elsewhere. Most likely the soul is running its astral errands while the body does its repairs. Later in the cycle after these tasks are out of the way, or when taking a nap, the delta stage is replaced by immediate onset of hypnagogic and REM activity after mental relaxation. But these are passive dreams since lack of lucidity in them implies impaired volition. Why are dreams so much more vivid than conscious visualization? Because the images are being projected by the subconscious, not the conscious mind. Why do we lose self-awareness when we go to sleep? Because as we let our thoughts wander, the subconscious starts to direct our consciously projected images while our conscious mind takes on a more passive and self-obliterating role. It does not take long for the subconscious to take over the role of projector as well, and that is when mere mental images become virtual realities. The trade-off is that we have already abandoned ourselves by the time the dream projection kicks in. active dreaming – conscious directs while subconscious projects. passive dreaming – subconscious directs and projects. 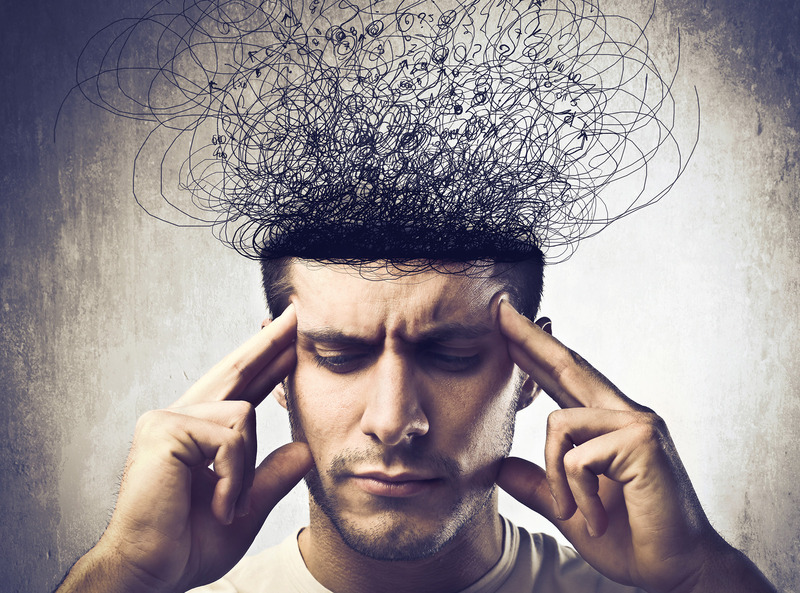 daydreaming – subconscious directs while conscious projects. visualizing – conscious directs and projects. Inducing lucid dreams from a waking state therefore requires that the conscious mind retain its self-awareness and volition while the subconscious is given free reign to begin projecting the dreamscape. One such method involves watching the phosphene images behind closed eyelids. These are the glowing blobs of static noise patterns that always fill our vision but are more easily noticed in the dark. Contrary to passive dreaming, this keeps one’s visual faculties active and focused on real sense impressions instead of turning within and getting lose in consciously projected daydreams or visualizations. You will notice that in dreams your “eyes” are focused on an environment existing “outside” you, seemingly as real as anything you might see with your physical eyes while awake. Staring out into the field of phosphenes involves an identically externalized point of focus, so one component of the dream experience is already established. It therefore does not take long for hypnagogic images to start up, although these can startle one back into full consciousness. With repeated exposure they become less startling. The next issue is becoming so quickly absorbed in the phosphenes and hypnagogic images that one loses self-awareness before the subconscious is ready to begin projecting. quickly opening and shutting your eyes every two or three breaths. This allows enough real sense data to come in, and is so intentionally controlled, that the mind has better chances of staying alert. And yet since this involves mere movement of the eyelids, the rest of the body is not prevented from doing its thing to fall asleep. One can keep this up until the hypnagogic state kicks in, then continue watching those and the phosphenes. Very soon the body falls asleep by entering sleep paralysis, which feels like a sudden sinking, melting, tingling feeling. The subconscious is then at the verge of fully projecting the dreamscape, and one has only to retain enough self-awareness throughout the onset of sleep paralysis to allow the final consciously directed nudge to kick off a dream. For instance, after catching your body falling asleep, you can visualize and intend to roll out of bed. It is the intent combined with visualization that puts the subconscious fully online, and a dream begins. Then you can do reality checks (flipping a light switch, looking for inconsistencies) or astral checks (seeing your body still in bed with correct clothes on) and lucidly go from there. Take note that because this technique requires immediate access to REM sleep, it must be done after already having slept five or six hours, or during the day when napping. Some induction techniques start off with visualization, whereby the conscious mind directs and projects mental imagery until the subconscious takes over the role of projection. The above technique does not use visualization until the final nudge, thereby allowing the subconscious to start projecting more easily because it does not have to wrestle that role away from the conscious. Visualization is not necessary until the final stage when the body is asleep, otherwise it might interfere with the subconscious stepping into its role as projector. Why is active dreaming important? Because it allows access to the dreaming faculty at will and is therefore more reliable and replicable than other methods involving autosuggestion, dream signs, periodic reality checks, and so on. However it is also more difficult to implement due to having to be conscious the moment the body falls asleep. But like any activity that requires finesse, whether hitting a golf ball or parallel parking, it can be trained with practice. When the body has entered its melted tingly state, it is possible to anchor this using some tongue position, breathing pattern, eye movement, visualized sequence of symbols, or command phrase. When the anchor is repeatedly associated with this state, later the anchor can be invoked to cause the body to reflexively enter the state, dramatically shortening the induction procedure. But creating the association takes much repetition. If the dream state is induced with the eyes open, then visual perceptions are no longer filtered or interpreted by the normal waking linear mind. Some data streams include energy patterns that normally escape our perception, such as etheric critters, thought-forms, machinery, or intelligent beings positioned around us. What we see while in this state, or at least the visual image of it, is not actually outside of us but rather projected onto our field of vision from within by the subconscious. The subconscious projector overlays upon the visual field an interpretation of the incoming data stream. It is like an internal HUD (heads up display). Science attributes these to hypnopompic hallucinations, but I doubt these images always have to be delusions. You may have noticed that dreams communicate to us messages from the subconscious via symbolic images, plays on words, and allegorical themes. But really the subconscious is just a portal to intelligences outside our linear conscious minds, one of these being the higher self. The dream projection, which employs the visual sense mostly, is therefore an indirect communicator allowing information flow across the conscious/subconscious gap. It is possible to do away with the visual aspect entirely and allow direct communion between yourself and the higher self, or at least between your consciousness and the true essence of things rather than their visually interpreted representation. With eyes open, rather than seeing interpretations of the data stream one could after sufficient levels of development see the data directly – this would be equivalent to seeing the “code of the matrix” so to speak. Exploring inner space can therefore be quite productive, and it is the most rewarding and immediately evident superior alternative to technological substitutes that threaten to disconnect us from our conscious abilities. In terms of detail and effects, lucid dreams far surpass any available video gaming system. Of course it is easier to hit a power button than train to actively dream, but the thought that we carry within us such untapped power does evoke awe. Lovely post, a little difficult to read because the text isn't broken up it's just a long block, but either way, thanks for sharing! Great to read something from a fellow lucid dreamer.